Most of my old designs from years past are severely outdated, so this will serve as a new thread for me to post my new designs and rehashes. Last edited by Scapemage; November 5th, 2018 at 03:57 PM. Last edited by Scapemage; August 10th, 2018 at 09:08 AM. If Beast Boy enters a land space, he must immediately end his movement. Beast Boy does not stop his movement when entering a water space. Add 3 dice to Beast Boy's attack and defense while he is on a water space. Friendly figures do not have to stop their movement when entering water spaces within 1 space of Beast Boy. Last edited by Scapemage; August 22nd, 2018 at 06:27 PM. Didn’t Man-Bat have some sort of Echolocation power? Or was that Sonar? I confuse the two. I think you could fold the first two powers into one. “Marine Life 3” or something. 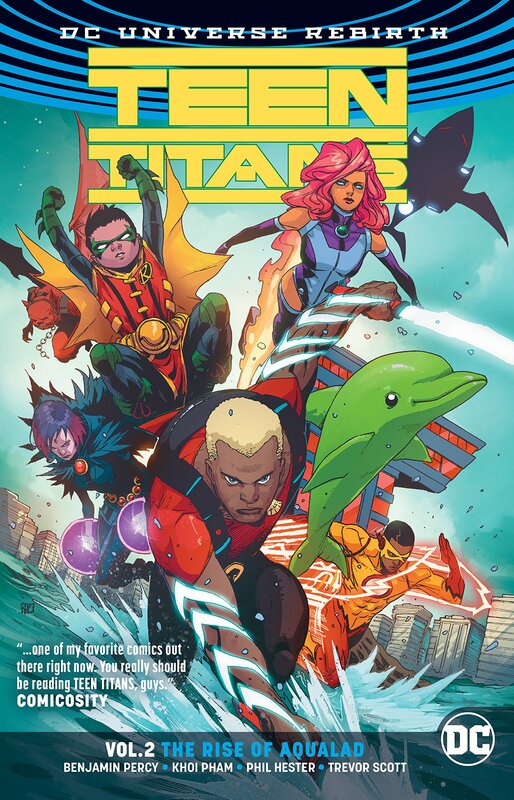 Man, that Teen Titans cover cracks me up every time. Everybody looks so grim, and then you got that goofy-looking Beast Boy. If Beast Boy enters a land space, he must immediately end his movement. Beast Boy does not stop his movement when entering a water space. Add 3 dice to Beast Boy's attack and defense while he is on a water space. I'm happy with that. I really love the Submerge reuse but I'm not married to it. I haven't changed the design since our previous discussion about it, am still thinking about simplifying, but that seems to work well. I'm not sure the current Echolocation is really nailing the theme of that title, so I don't mind seeing it go. Still, the idea of giving this guy something beyond strong and hard to hit on water maps would be nice. It'd be nice if he had some utility for his buddies on a water map. Yep, I'd personally like the Dolphin to be more support based. Not sure what that looks like quite yet. So if Echolocation is the location of objects by sound instead of sight, maybe he makes it so opponent's figures within, say, 4 spaces of him can be targeted for attacks without being in clear sight? Something like that? Friendly figures on water spaces within 3 clear sight spaces of Beast Boy do not require line of sight to attack opposing figures within 5 spaces of Beast Boy with normal attacks. Shouldn't the on water spaces restriction be on the opponent's figures rather than the friendlies? He's doing the locating in the water. (Though, honestly, I'd be OK with dropping any water space requirements on that power just to give it more utility. The dolphin should be able to locate anywhere and jump up from the water to communicate that). The idea was that he could send signals to his allies through the water. I'd be happy dropping that restriction entirely.